Mr. Augustus Jaspert takes office as Her Majesty’s thirteenth Governor to the Territory of the Virgin Islands. 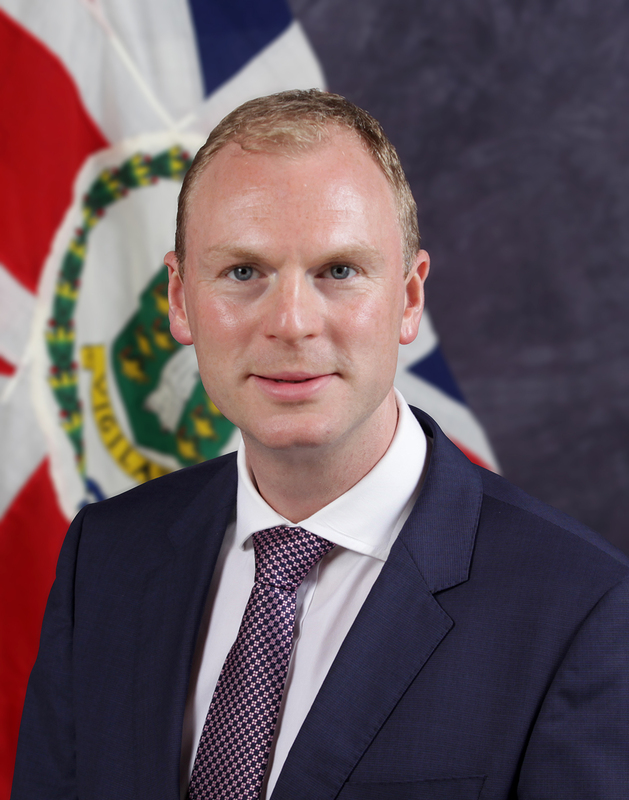 He recently served in the United Kingdom’s Cabinet Office leading on matters relating to national security and intelligence. He also served in the office of Prime Minister Cameron in Downing Street as the Private Secretary on Home Affairs issues such as policing, justice, immigration, security and Northern Ireland. Mr. Jaspert’s previous career has been spent in varied roles in different aspects of public services, throughout all of which he has focussed on improving services to deliver better outcomes for citizens. After a brief attachment in Ghana, he started his career in local government in Surrey, a County Council in the south of England, with roles that included supporting vulnerable children and those who needed extra support through learning or physical disabilities. He also had short roles involving emergency planning and response. Mr. Jaspert joined central government in the UK in 2007 as part of a team tackling social exclusion where he designed new approaches for how different services can best work together to improve services for families in need and support some of the poorest members of society. He also worked on systems to improve the performance of key public services such as the police, prisons and the courts in the Prime Minister’s Delivery Unit. Ensuring safety and security for people became an increasing theme for Mr. Jaspert’s career. He served in the UK Home Office as a Deputy Director, leading local policing and improving the public’s confidence in the police and the Government’s strategies to reduce harm from the misuse of alcohol and illegal drugs from 2007-2009. During this time, he also served as a Magistrate in a criminal court in South West London. Mr. Jaspert went to his local school in London prior to studying History and German at the University of Edinburgh, including some time in Vienna, Austria. Whilst working in local government, he completed a Postgraduate Diploma in Management Studies at the University of Kingston. He later became a Member of the Royal College of Defence Studies and completed a second Master’s degree in International Strategy and Security at Kings College, London in 2014.